Faceless nagas. Creepiest minifigure ever? 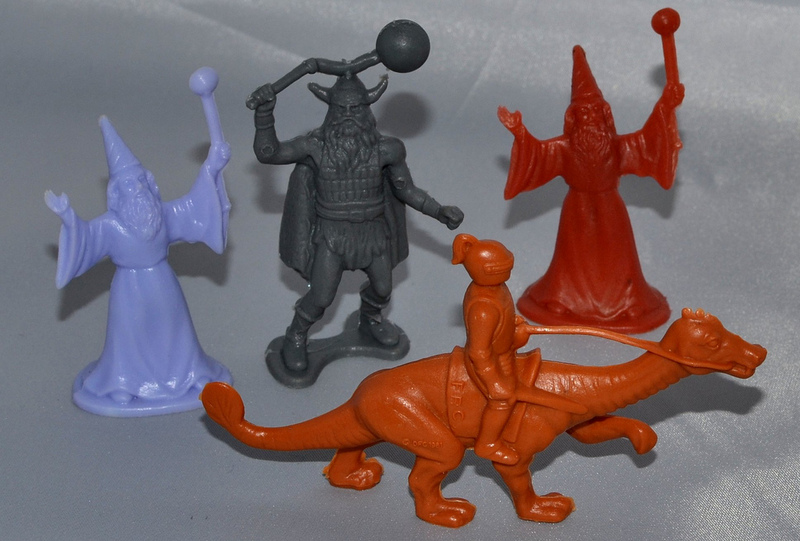 What: One of the many fantasy-themed toy offerings of the 1980s were playsets made by DFC (Dimensions for Children), made up of mini figures of knights, wizards and various monsters. 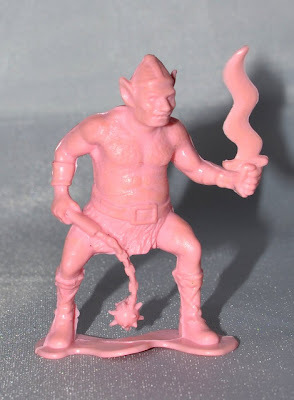 I am pretty sure the figures that I have are bootlegs of the same sculpts, produced later. Some seem to be slightly different from the originals, such as the snake-like Naga figure, which originally had a face that for some reason disappeared on the bootleg versions. Most of these are hard plastic, but a few are made of flexible, soft plastic. When: The DFC playsets were sold in the early 1980s. I remember buying the later/bootleg versions in the early-mid 1990s. Where: I am pretty sure I got this bag of figures at a dollar/bargain/variety-type store. 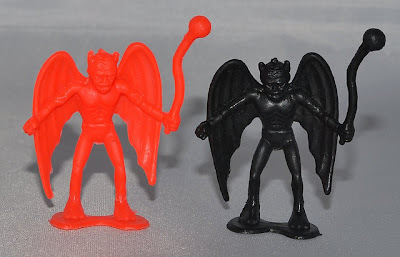 Who: While DFC produced the original playsets, I am not sure whether it had anything to do with these later/bootleg versions. 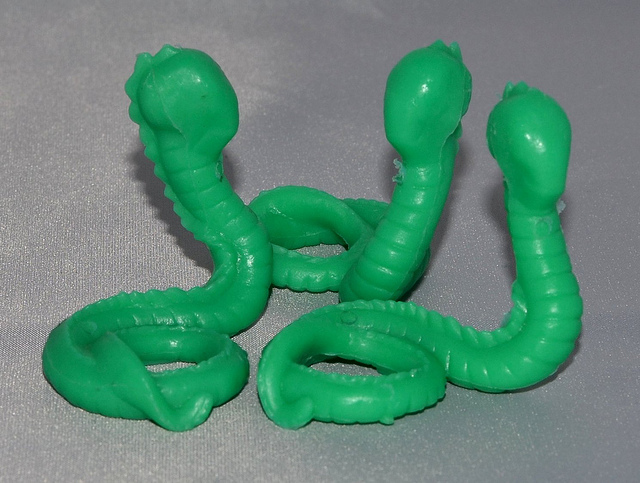 As I understand it, the nagas lost their faces because they were based on illustrations in the old D&D Monster Manual, and TSR, the publisher, was quite litigious at the time.